• Great location within Portsmouth Harbour. • Great support network of suppliers. Click here to see our list. • Good access to motorway and rail networks. • Welfare facilities available with workshops and office spaces for hire. • Secure site with access control system. • Friendly, approachable and knowledgeable staff. • Electricity and water available as standard. The Rolls Royce Syncrolift, which is 56m by 14m, has a long history at the site, and had been originally used by VT to work on Royal Navy vessels. Trafalgar Wharf Shipyard is a customer focused site where you can control who completes the work on your vessel. It is a unique facility allowing fast docking with easy access. The ship lift is rated to 877 ton and is effectively a mechanical dry-dock, hoisting large vessels out of the water for repair, repainting and maintenance. The ship cradles can move vessels of around 60 metres in length overall and up to 877 tons using the railed system. The rail system within the shipyard is movable hence allows for the traversing and dry docking of multiple vessels. The external hard-standing is approx. 80m x 50m and provides a solid and level working area with full access around vessels for cleaning down in readiness for painting. As well as recent site wide infrastructure improvements, the ship lift has been fully refurbished, tested and certified. 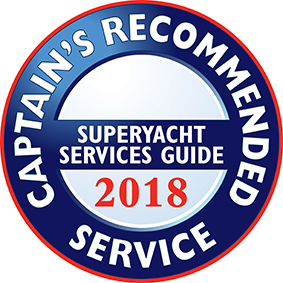 Ideally located to support vessels operating in the Solent and beyond, our Shipyard services a variety customers operating in the commercial, defence and superyacht sectors. Project offices, equipment storage and welfare facilities are available to hire for the duration of your project.